This is not the first time I have discussed media coverage of ‘Latin’ Converts to Islam. 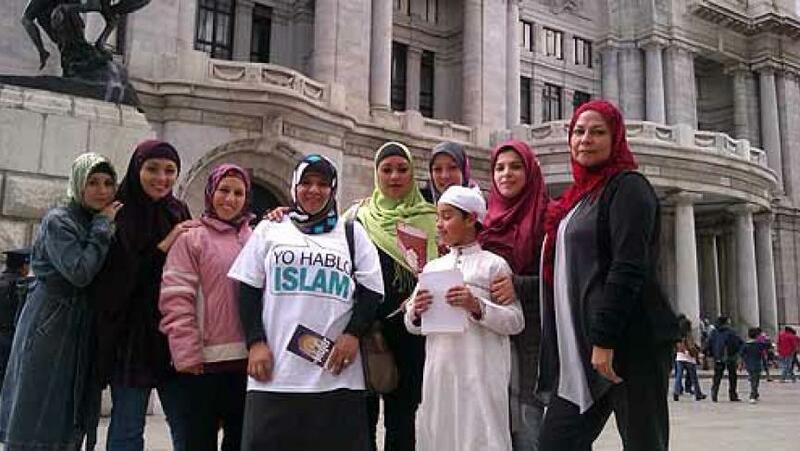 In fact, I have written about how they are depicted in terms of their relationships, the ways in which Indigenous converts from Latin America puzzle the media, and how ‘Latina’ women are said to be the new face of Islam. The issue continues to be relevant today as coverage of ‘Latin’ converts is still prevalent. Now, let’s be honest. Articles written about ‘Latin,’ ‘Hispanic’ or Indigenous converts (often used incorrectly interchangeably) is not only presented in non-Muslim media outlets, but it is reproduced and reposted in Muslim outlets. What is interesting is that depictions of ‘Latin’ converts focus on the female experience, often to draw a pretty gendered portrayal of women with Hispanic backgrounds that convert to Islam. 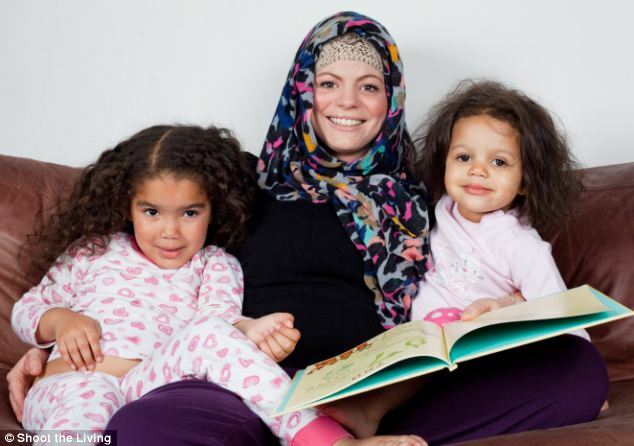 For instance, while the Voice of America tells the story of women who convert for “structure,” which suggests needing to know right from wrong, the Muslim Village reports that these women find themselves respectable upon the adoption of hijab. Others, like OnIslam, frame it in terms of identity; apparently these converts are looking for one. The Latin Post also has an opinion: ‘Latinas’ (in the US, I must add) are said to convert because the Catholic Church proves to be too patriarchal. Ranting aside, I often feel misrepresented, misunderstood and, quite frankly, stereotyped when the media tries to psychoanalyze, label and box all of us into one ‘Latin’ convert experience. However, the sad reality is that assumptions and stereotypes are not only perpetrated by the media. Many Muslims and non-Muslims have a very a particular idea of what Latin America is/looks like/should be, and that permeates their understanding of converts. So I thought I would address this in plain and simple terms, explaining why I don’t identify with these portrayals. The term “Latin America” is often attributed to Napoleon III in an attempt to re-define the identity of the colonized territories. And even though the concept has been reclaimed across the continent, it does not describe a single identity. What do we mean when we talk about ‘Latin’? Is it Latin America? Is it people of Latin American descent in the US? Or is it people who speak Spanish? Whereas not all women agree with me, I contest the term ‘Latin.’ In Canada, where I reside, it is often used to depict a sexualized version of the “Third-World woman.” But beyond that, speaking Spanish, being born in a Latin American country, immigrating to a North American country or being born in a North American country to Latin American parents are radically different things. What is more, Latin America is home to numerous Indigenous groups who are not necessarily Hispanic or identify with dominant populations, and immigrant groups that are Hispanic but hold other identities. Thus, we do not necessarily share common experiences and we do not necessarily identify with each other. Stop trying to fit all of us in one box! #2. What Do You Mean by “Convert” or “Revert”? The idea of identity troubles me. I have multiple and intersecting identities that cannot be boxed into the idea of my conversion to Islam or my place of birth. Similarly, a “lack” of identity does not explain my conversion. I speak my native language, I abide by many Mexican and Indigenous traditions, and I feel culturally and socially attached to my people. My conversion to Islam does not mean I feel/act/want to be Arab, or that my identity as a Latin American/a Mexican/an Indigenous woman needs replacing. While being a convert can be a challenge in terms of “belonging” to a community (or not), the fact that we attribute women’s conversion to a lack of identity or the rejection of a previous identity speaks to a notion that women cannot hold multiple identities and reconcile them; instead, they need to stick to the interpretations of men, who tell them what to do and how to think. I am sorry… I had morals before I came into Islam. The depiction of the child-like woman, who needs someone to dictate right from wrong, is not only highly gendered, but also problematic and patronizing. I have always had a sense of right and wrong; this may not always coincide with Orthodox Muslim views, but it is there. I do not take Islam’s teaching as replacing my sense of rightfulness, but instead as a tool to understand what is around me. Sigh… What can I say? Like many women around the world, I have suffered harassment in the streets not only in Mexico, but also in Canada. Hijab or no hijab, my experience has not changed. 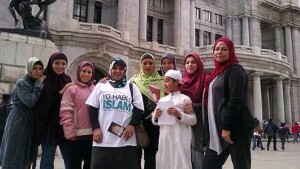 In fact, in a country like Canada, hijab often adds a dimension of Islamophobia to the harassment that women may experience in the streets. Depicting female converts of Latin American, Hispanic, Indigenous or immigrant backgrounds as desperately holding on to hijab for protection overlooks the fact that sexual harassment and abuse happen in Muslim communities and that hijab does not necessarily protect women. Similarly, it perpetuates a colonial idea that men from the Latin American countries and Indigenous communities are “worse” to women than Western or Muslim men are. Whereas this is not an exhaustive list (I could probably go on for a while), perhaps providing a bit of guidance from someone whose personal experience has been affected by media and community depictions of the ‘Latin’ female convert, will enable others to understand how these portrayals infantilize women like me. Further, I am hoping that this list will help others understand that stereotyping men from Latin America, Hispanic and Indigenous backgrounds to rationalize women’s conversions to Islam helps no one. I can particularly identify with the points you made in reasons 3 and 4. Especially 4: In a sense, I was already Muslim, I just hadn’t realized it yet. I am glad to see this, after the same author smashed us as Latin Muslimas and Feminists to have a similar approach and claim our identity trough a Facebook Page where we use sarcasm to criticize all these narratives and saudi fundamentalism as well. Also, I am very glad to confirm this perspective is totally able to take the shape of a proper article, considering that when we asked for a space to say basically the same we were sent to the comment section. I know I am not being kind and even bitchy (but I am not the first and a lot the second) but this is about ideas, respect and agency and it seems to be they are recognized depending on who is talking about. 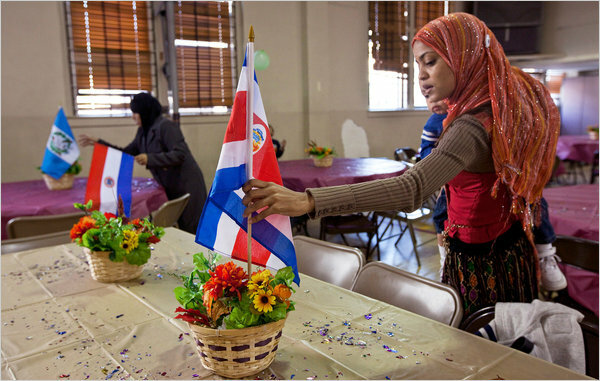 Still, even with this article, the voices of Latin Muslimas living in Latin america are leaving out.